9 summer baby essentials courtesy of our Editor-in-Chief. Our Editor-in-Chief's 10 best summer picks for babies. My baby boy was born on the second day of winter and he is an utter delight. To the non-parents among us, let me assure you everything people tell you about having your first child is true: the shock, the joy, the laughter, the elation and the love. The overwhelming, all-consuming, crazy, crazy, crazy love. And while my maternity leave was a glorious time, there are some things I will certainly NOT miss. I know I’m not supposed to say it out loud… but nothing compares to the special hell of being stuck inside a small apartment during endless Melbourne rain, while trying to jam multiple singlets over the head of a crying, snotty baby. 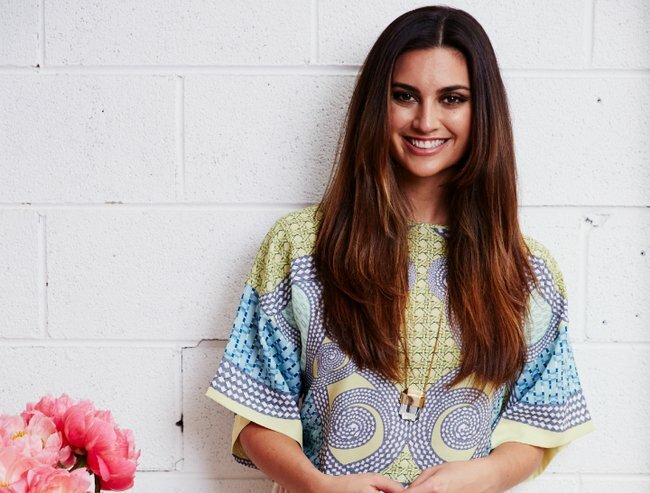 But praise the adorable miniature rash suit manufacturers — summer 2015-16 is finally HERE. And I intend to get my shop on in a very big way. Baby stores everywhere beware, my bubba and I are a-coming and our my credit card is at the ready. Here’s what I am lusting after for the sunny months ahead. 1. Hollie and Harrie sombrilla in ‘morning sunshine’. 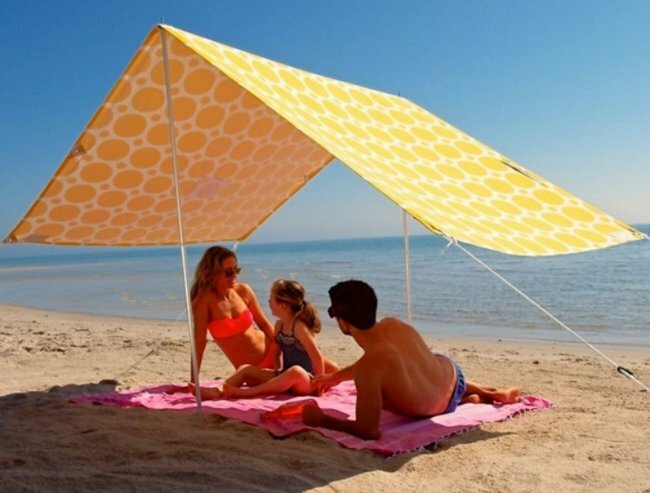 First stop on the summer-with-small-person spending spree is a beach tent. However, I’m 29 years old and my ego won’t permit me to prematurely age myself into a blue and green, plastic monstrosity just as yet. There has to be a cooler option and the Sombrilla is it. This gorgeous creation is 100% cotton, so it’s breathable for the bub (and you!) plus it comes with adjustable options for low or high sun. I like this happy, sunshiny yellow and white print the best but there are a whole range of options. “I like this happy, sunshiny yellow and white print the best but there are a whole range of options.” Image via Hollie and Harrie. 2. 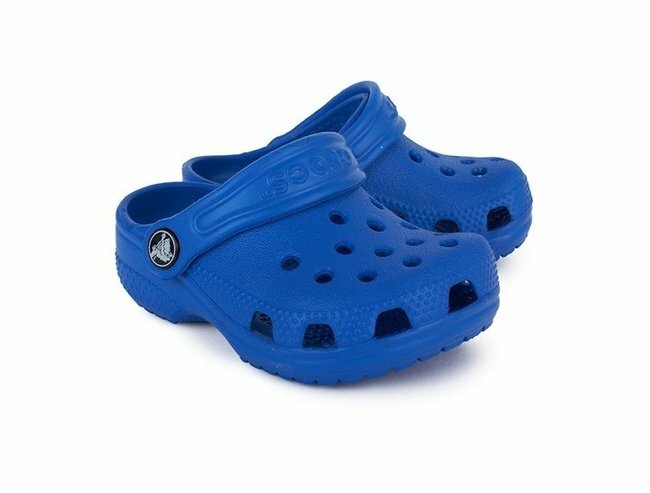 Blue little baby Crocs. Crocs are always a fashion faux pas — unless your age is in the single digits — in which case they’re a sartorial triumph. My baby is a long way from walking but from the moment he stands up to lean lovingly against his babysitter, the television (just joking… sort of), I’ll be buying a pair of these cuties. “Crocs are always a fashion faux pas — unless your age is in the single digits.” Image via Alex and Alexa. 3. Bonds Christmas Zippy in ‘Paradise Island’. Disclaimer: before writing these sentences, I have taken a deep relaxing breath in an attempt to centre myself and not sound like a crazy lady. But for real — if you are parent to a small person then YOU MUST OWN A BONDS ZIPPY SUIT. These things are da bomb. 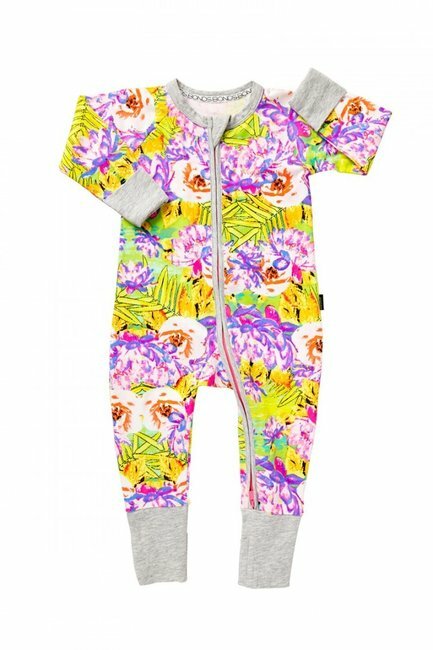 Lightweight fabric, super fun prints, optional mittens (for mums who hate cutting baby nails) and feet (for when summer doesn’t live up to expectations) and most importantly NO EVIL PRESS STUDS to battle against during horror midnight nappy changes. Buy one in every colour. Seriously. 4. 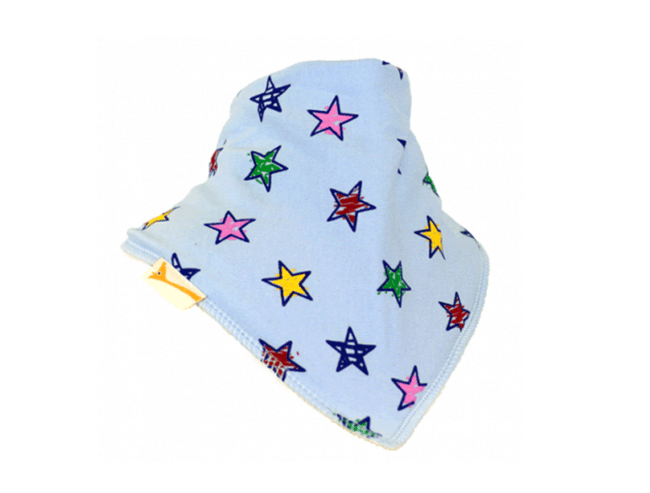 Funky Giraffe bandanna bib in ‘ blue multi-coloured scribble stars’. Babies drool. A lot. And if long tendrils of bubbly spit absolutely must spew out of your little one’s lips at all hours of the day? At least allow them to do it stylishly. Funky Giraffe bibs are great quality, absurdly well priced and have a huge range of fabrics available. I recommend the bandanna style, as it’s excellent for pretending your baby is French… or a pirate… or a French pirate. PSA: Babies drool. A lot. Image via Funky Giraffe. 5. 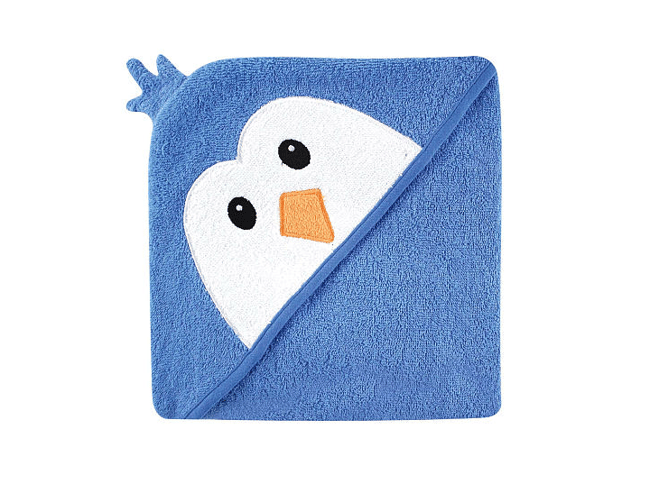 Luvable Friends animal face hooded terry towel in ‘blue penguin’. Fact: There is nothing cuter than a squeaky clean baby wrapped in a fluffy towel. Exception: When that towel has a hood with an animal face on it. There’s nothing cuter. Image via Toys R Us. 6. 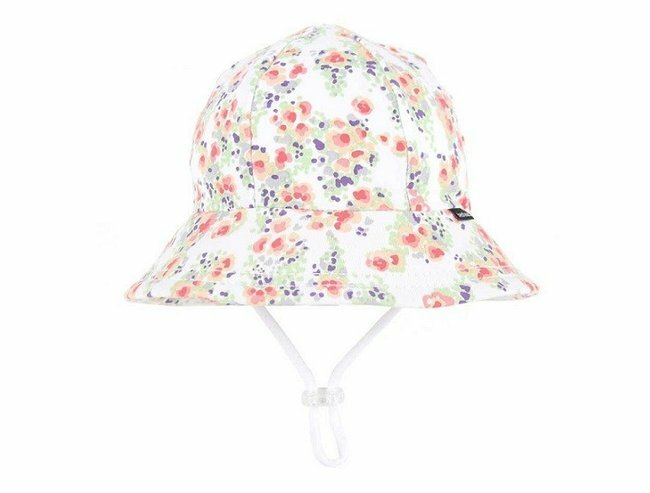 BedHeadHats baby bucket hat with strap in ‘Elise’. Six months experience of wrestling beanies onto my newborn means I’m now a total-pro at putting hats on small heads. This is good news because in Australian summertime, hats are absolutely non-negotiable. Protect that perfect, soft and extremely burn-prone baby skin from the sun with a wide brimmed hat, plus a strap to keep it on. If there is a baby girl in your life then snap up this Elise print, which is awfully sweet. Or buy it for a boy! After all, more men should rock florals. 7. 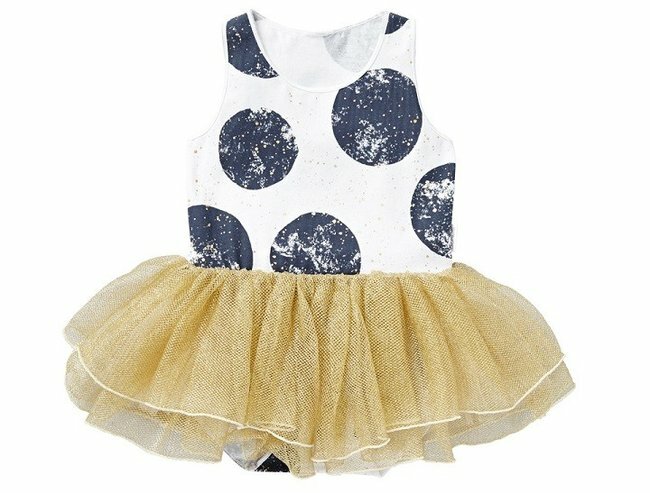 Bonds Christmas Tutu Dress in ‘Glow Dot’. Ooof. I adore my baby but there are three things in this world that make me mourn the fact he wasn’t born female. First: Sparkles. Second: Metallics. Third: Tulle. And this little outfit has all three. Your girl could wear this romper over the top of leggings in cooler weather or expose those little feet to the warmer months and let her go bare legged on Christmas Day or New Year’s Eve. One quick question — do BONDS make this outfit in Big People’s Size? Does this come in big people’s size? Image: Supplied. 8. Banana Boat baby roll-on SPF 50+ sunscreen. That giant hole in the ozone layer right above sunny Sydney means you need sunscreen for the little one. And it has to be SPF 50+. 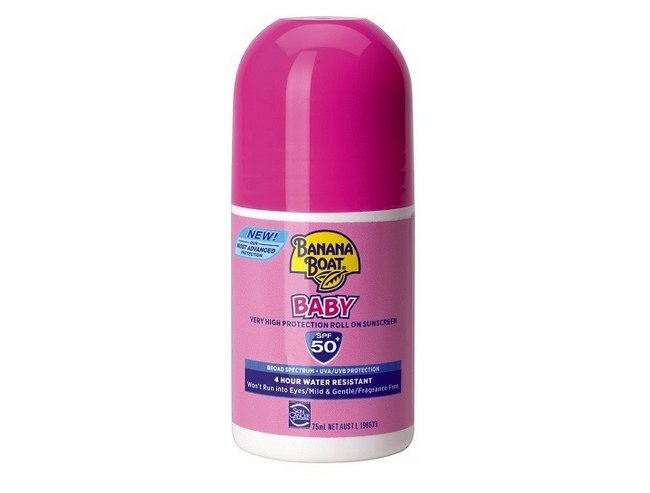 Banana Boat makes a high quality roll-on option, which is a critical arsenal for your battle to actually get it onto the baby’s body. SPF50+ is the way to go. Image via Banana Boat. 9. Plum Polka Dots Zip 1 Piece Swimsuit. With the arrival of hot weather comes sun drenched afternoons at the beach. And with that thought comes the irresistible allure of this completely adorable all-in-one swimsuit. With 50+ UV protection. 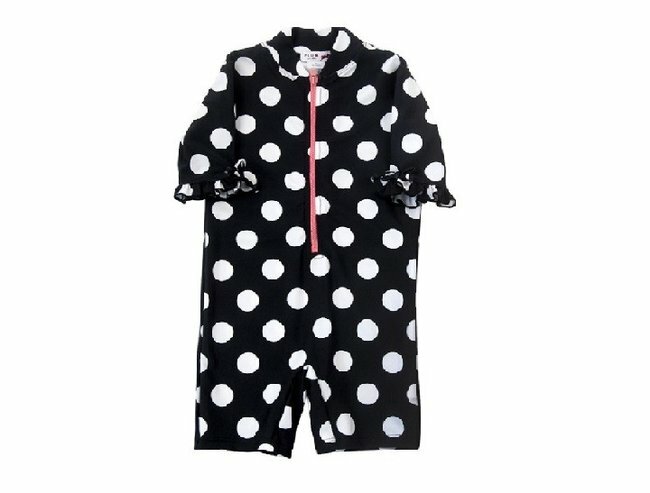 it will shelter your little one from the sun — all the while embracing the very of-the-moment polka dot trend. Actually, now I think about it, I am pretty sure this swimsuit is unisex, better get one for my son. “With the arrival of hot weather comes sun drenched afternoons at the beach.” Image via Plum Collections. How are you preparing your baby for summer?